We pretty much cover the entire fruit aisle of the produce section ("Like a big bowl of fruit pie!") as we taste through Longview Winery's 2010 Cabernet Franc. And app, you say? 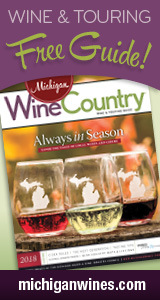 Yes, we have an app-tastic guide to navigating Michigan wine country. Anyways, are you a Longview fan? Come tell us about it.